I enjoy festive foods and drinks that show off our patriotism around national holidays like Memorial Day, Independence Day, and Labor Day. 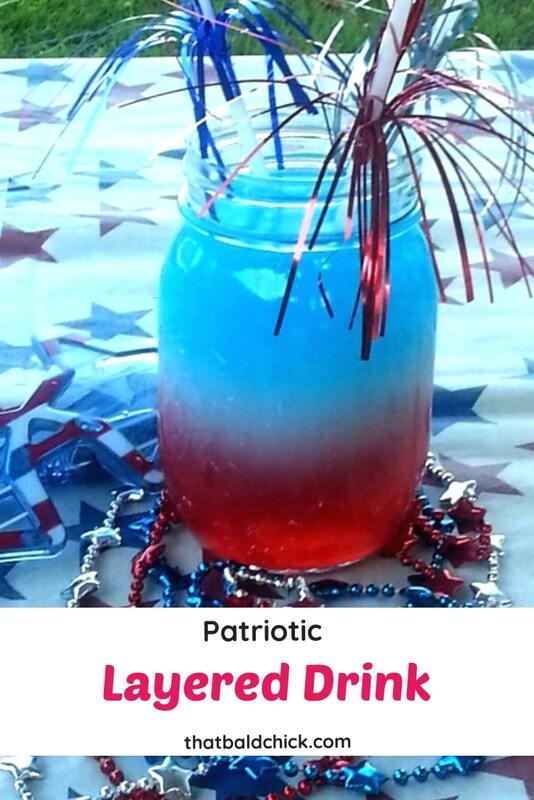 This patriotic layered drink is a lot of fun for kids and adults alike. Ice Cubes – totally optional, but these star ice cube trays are a lot of fun! Add a straw and drink up! The trick is to be sure you SLOWLY pour each layer, so it doesn’t push down through the layer below it. 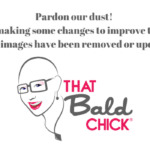 It’s as easy to mess up the layers as it is to get them right. No one really seems to care if they aren’t perfect, tho. 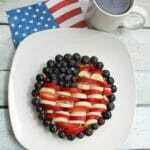 Are you a fan of patriotic foods? Be sure to check out our Patriotic Cones, Patriotic Snack Mix, and Patriotic Waffles! 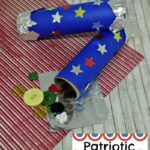 Need some patriotic craft ideas? 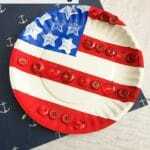 Our Patriotic Shaker Craft and Paper Plate American Flag are just the thing!